Attention : Information Notice regarding Admission forms for Lower KG at The Bishop's School, Camp and for Nursery at The Bishop's Co-Ed School, KLN & Undri for Academic Year 2019-2020 will be available online in the month of December 2018. Please write your suggestion for the selected vote option. 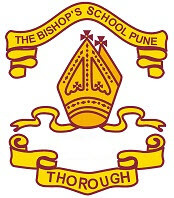 Welcome To The Bishop's Education Society Upgraded Website. Admission Notice for 2018-19 has been released, Please check Admission notice section. Please note : Bishop's Online is available only to the students & parents of The Bishop's School. Click on the section Bishop's Online. Enter username and password. The student can login with username : "190023" and password :"190023"
The Parent can login with username : "190023P" and password : "190023"
Please Change Your Password After You Login To Ensure Security For Your Account. Help file to configure email account on iPhone & Android.